Aquarium Filters are inseparable components of fish tanks. Without them, the isolated ecosystem of an aquarium will have a hard time trying to stabilize itself. Moreover, those ecosystems most probably won’t be able to come to balance without help at all. And that help is a good fish tank filter. That’s why in the fish-keeping hobby we need to know about the best aquarium filters. If you have a fish tank but haven’t got a filter yet, you definitely should think about buying one. Don’t know what to do? Let us help you with our buying guide! Plus, we have prepared a review of top 10 best fish tank filters to help you visualize what the perfect filter should look like. Let’s get started! Too Much or Too Less Filtration? Fluval FX6 is an exceptionally high-performance canister filter. No wonder that it costs quite a bit. Its pump drives water at mind-blowing rates with a power output of 925 US gallons per hour and filter circulation of 538 US gallons per hour. FX6 is also designed to work with up to 400-gallon tanks. We have reviewed it also separately. Please find that out as well for a more detail review of Fluval FX6. Not only FX6 is high-performance. Firstly, it has an automatic priming device to prime the canister in just minutes. Secondly, both the intake and outflow nozzles can be adjusted while the clog-proof intake strainer with a fine screen won’t allow debris to get into the filter. Besides, the purge valve allows you to quickly empty the canister. Another nice feature is that the electronic circuit board of FX6 monitors the impeller speed and pump power to ensure optimum energy usage. The filter media capacity of FX6 is also remarkable: 5.7 liters! And lastly, all this beauty is backed by a 3-year warranty! Filter Media quality is not that up to the mark. Eheim Classic is more of a moderate-capacity aquarium filter but surely with very high efficiency. It pumps water at 264 gallons per hour and supports up to 160-gallon fish tanks. All in all, this filter is a good pick for those who have small to mid-size aquariums. Unfortunately, Eheim’s canister filter doesn’t have an auto priming device. You will probably have to spend some time to figure out how to do it. This canister filter has a filter chamber that supports a wide range of filter media, though a single chamber may get messier than if there were separate baskets. By the way, this filter comes with a number of media including fine, coarse, and carbon pads. Finally, Eheim Classic 600 is covered by a 2-year warranty. This canister filter is highly praised by its users. It is simple to use and maintain. However, you won’t get many functions with it. This filter is a nice choice if you want something which lasts a very long time with consistent efficiency. A great choice if you don’t need too many functions. Suitable for small- to mid-size aquariums. Quite a good flow rate. Supports a wide range of filters. Comes with a set of filter media. Covered by a 2-year warranty. Priming this filter is time-consuming. Yet another functional canister filter on our reviews of top aquarium filters! However, Penn-Plax Cascade 1000 is immensely more affordable than other models! With a flow rate of 265 gallons per hour, Cascade 1000 supports up to 100-gallon fish tanks. Its rate of flow is exceptionally easy to adjust thanks to the cut-off valves. In addition, the valves can be rotated in any direction for more flexible and efficient setup. Unlike Eheim Classic and like most of the modern canister filters, Cascade 1000 features a priming function. All you need to do is push a button! Cascade 1000 comes with 3 capacious filter baskets that support all kinds of filter media. Speaking of the media, Cascade 1000 comes with a few, though be mindful that the included media aren’t as high-quality as you would have probably wanted. This canister features a solid build and a bottom rubber clamp that allows you to securely install the filter next to your aquarium. Cascade 1000 comes backed up by a 3-year warranty and a money back guarantee. We have individually reviewed Cascade 1000 canister filter. Check it out for some more details. A convenient and easy to use canister filter. Good water flow and aquarium size capacity. Has 3 high-capacity filter baskets. Supports a wide range of media. The rubber bottom allows for sturdy positioning. 3-year warranty and money back guarantee. The included cheap filter media won’t be sufficient for too long. Complaints about some leaks after maintenance. Positioned as a little brother to the FX6, Fluval FX4 is pretty much identical to the former, if you don’t take size into account. Unlike FX6, FX4 features pump output of 700 US gallons per hour to support up to 250-gallon fish tanks. Besides, the media capacity of FX4 is only 3.9 liters against the 5.6 liters of FX6. As for other features, there really isn’t much difference between the two Fluval canister filters. FX4 has an auto priming mechanism for quick setup. It supports a variety of media types and also comes with a couple of media, though they probably won’t be sufficient for prolonged use. The adjustable nozzles are also here. In addition, you get the same purge valve and clog-proof intake as with FX6. Lastly, FX4 is covered by a 3-year warranty. All in all, FX4 will be a great choice for those who liked FX6 but didn’t quite feel that they need the enormous capacity. Here is a detail review of Fluval FX4 for your convenience. Has all the convenience of Fluval RX6. Works with any type of filter media. Covered by a 3-year warranty. Yet another aquarium filter that works with up to 100-gallon tanks. If the other models have been too much for you, maybe MarineLand’s Magniflow will be a nice choice. But let’s see what it has got first of all! With its 3-stage filtration system, this canister filter handles aquarium water at a rate of 360 gallons per hour. The canister lids are tightly sealed to ensure the isolation and the integrity of the interior. This sounds good, but in reality, there are some issues with the system, though not too persistent. A good number of users of this aquarium filter have complained about leakage. In fact, most of the cases have been due to factory defects. This doesn’t make this product necessarily defective, but around the fifth of the reviews you may find think otherwise. However, on the other hand, the reason for the leaks may have been the improper installation of the gasket. MarineLand Magniflow canister filter comes with a nice set of filter media. The polishing filter pads and filter foam pads are best to use to catch those annoying fine particles. On the other hand, the bio-filter balls and ceramic rings promote the growth of beneficial bacteria that can process some toxic elements. MarineLand Magniflow comes with an auto prime function to help you with initial priming. Lastly, this canister filter is covered by a 3-year warranty. Works well with up to 100-gallon aquariums. Quite a powerful pump system. Comes with a good set of filter media. Has an auto prime feature. Another nice model by Penn-Plax on our reviews of top rated fish tank filters! Cascade 1500 is the big brother of Cascade 1000 we examined a little bit earlier. They feature similar builds, but the capabilities differ quite a bit. The first difference is the more powerful pump that drives water at a rate of 350 gallons per hour. Cascade 1500 works with up to 200-gallon fish tanks, so if you liked Cascade 1000 but weren’t quite satisfied with its aquarium capacity, this model may interest you. Another difference is that Cascade 1500 holds 5 media baskets against only 3 in Cascade 1000. This means that you can put more kinds of filter media into the device to maximize its efficiency. Overall, Cascade 1500 is a little bit bigger than 1000. As for the rest of the functions, Cascade 1500 is identical to Cascade 1000. It has the same 360-degree nozzles, an automatic primer, adjustable water flow, and bottom rubber clamp. Additionally, Cascade 1500 is as easy to use and maintain as Cascade 1000! Lastly, Cascade 1500 is covered by a 3-year warranty and money back guarantee. Has the functions of Cascade 1000, but is bigger. Works with up to 200-gallon tanks. Solid positioning with the bottom rubber clamp. Some issues with pumping without filtering it. Here we have another small-capacity aquarium filter if the previous ones weren’t the right models for you. Fluval 406 canister filter offers flow rate of 383 US gallons per hour. Besides, this aquarium filter works extremely efficiently with up to 100-gallon fish tanks. What’s remarkable about Fluval 406 is its quiet design. In particular, the filter has two components that contribute to the low noise levels produced by it: its sound dampening impeller, and the precisely engineered bearing that reduces vibration and noise. Fluval 406 would be a good choice if you are looking for a quiet canister filter. Fluval 406 features adjustable nozzles, though they are not as flexible as, for example, Fluval FX6’s nozzles. On the other hand, 406 has a clog-proof intake strainer to ensure that the filter doesn’t get clogged. Another component contributing to the debris elimination is the included two-layer foam screen. As for filter media, 406 contains 3 media stages to allow for the installation of multiple media types. All the stages are securely locked in place by lift lock clamps. Just like most of the models we reviewed, 406 has an auto priming function. Lastly, Fluval 406 is backed up by a 3-year warranty. You can read our more detailed review of Fluval 406 Canister Filter. Great performance for smaller aquariums. Has adjustable nozzles with clog-proof intake. The nozzles aren’t 360-degree like in FX6 and FX4. Another small-capacity model on our list of best quality aquarium filters! This model by Eheim supports up to 92-gallon water tanks. But is it a good choice for those who have smaller fish tanks? Like the other Eheim filter we examined a little bit earlier, this unit doesn’t have too many functions and features. EHEIM 250 comes with simple and non-adjustable nozzles. It doesn’t have auto priming, meaning that you will need to spend some time on figuring out how to do it. Also it doesn’t have separate filter media baskets. Long story short, Eheim Classic External Canister Filter only does what it has been created for, which is filtering aquarium water. Does it do well? The answer will mostly depend on the kind of filter media you use. Unfortunately, Eheim Classic filter doesn’t have any separate media baskets, so you will have to just stuff all the necessary media inside the canister, which will be a little bit less organized than it would be with baskets. This Eheim filter is backed up by a 2-year warranty. Good performance for up to 92-gallon tanks. Simple design, has nothing excessive. Supports a wide range of filter media. Now comes the most ambiguous model on our reviews. Fluval G6 is a great model when it comes to its features, but is it perfect? Filtering 265 gallons of water per hours, G6 is best for aquariums with 80-160 gallons of capacity. A little bit disappointing for an expensive tank. The three-component drive system provides the machine with enough power to efficiently handle the supported fish tanks. As you would expect, Fluval G6 has an auto priming feature to save some time and effort during the setup of this filtration system. G6 has a multi-lamella intake strainer that is capable of drawing away debris and is designed to avoid buildup of solids. You could enhance the filter by attaching additional intake strainers. But what’s most remarkable about G6 is its HydroTechTM intelligent monitoring system that provides real-time data on performance, water parameters, as well as allows you to set up maintenance schedules. G6 can also hold 3 filter media baskets. Fluval G6 is backed up by a 2-year warranty. On the other end of the feature spectrum is the sealing mechanism of G6. On paper, it should work spot-on, but in reality, a good portion of the buyers encountered serious issues with leakage. This problem isn’t persistent, but it surely happens way more than Fluval would have expected. Buying a G6, you can’t really tell whether or not you will get a fully functional and solid model. We have separately reviewed Fluval G6. Make sure you check that out before doing your purchase! Good performance for small and medium tanks thanks to the three-component drive. Supports multiple intake strainers for maximum efficiency. Features a monitoring system delivering real-time data on the aquarium condition. Has more or less frequent leakage issues. Only 160 gallons of supported tank capacity. Closing off our reviews of best quality fish tank filters with quite an interesting model. HW-304B by SunSun may look as a regular filter, but it has a couple of interesting things in it. The most noteworthy feature of this filter is its included 9W UV bulb, which is designed to eliminate algae spores and harmful bacteria. If you have been having some issues with algae in your aquarium, take a look at this model. On the other hand, you probably should be a little careful with the UV lights if you don’t want to harm the beneficial bacteria colonies. Among other features of HW-304B is its four media baskets, a five-stage pump, adjustable intake and outflow nozzles, and priming with a push of a button. And also, this model delivers 525 gallons of water per hour and supports up to 150-gallon tanks. HW-304B has a couple of notable downsides as well. Firstly, quite a lot of users complained about its low durability. Secondly, reaching the customer support of SunSun is for some reason extremely difficult, as said by the buyers. Given the frequent problems with the filter’s durability, the low-quality support is quite alarming. However, if you are lucky enough to get your hands on an unproblematic HW-304B, you will get one of the most efficient filters for its supported capacity. Check out our SunSun Canister Filter Review for more details. Great performance for up to 150-gallon tanks. UV lights to get rid of algae and harmful bacteria. Not very responsive customer support team. Having a bunch of models before you in most cases won’t be enough to help you with buying the perfect aquarium filter. But what can help you is the knowledge of aquarium filters, how they work, and what features you should look for. Now, we are going to help you with that! Aquarium filters passes the aquarium water through the filter media in order to remove undesirable and harmful elements, including uneaten food, animal waste, decaying matter and by-products of the aquarium’s ecosystem. All these elements result in the increased generation of harmful ammonia and nitrites in the aquarium water. Apart from that, aquarium filters enhance and facilitate the nitrogen cycle. During the process of the nitrogen cycle, beneficial bacteria colonies in the aquarium (mostly in the filter media) convert toxic elements (the mentioned ammonia and nitrites) into less harmful nitrates. 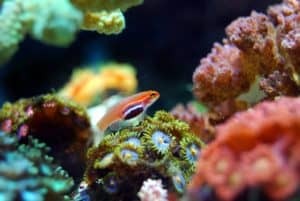 The role of the filter is that it creates oxygen-rich conditions for the bacteria to thrive in and facilitates the beneficial bacteria colony to support the ecosystem of the aquarium. Some models of filters are also capable of reducing the levels of heavy metals and chemicals like phosphates and lead. It actually depends on what type or set of filter media you are using. Let’s watch a video to make things simple. The main filtrating element in aquarium filters is the filter media. There are three types of filtration powered by filter media: biological, mechanical and chemical. They differ in their efficiency, and they also work best in varying conditions. Their purpose is also different in a fish tank. Let’s now examine the specifics of each type. Biological filtration refers to basically the nitrogen cycle of the aquarium. Bio-filter media, like ceramic rings, bio-balls or lava rocks are highly porous elements which provides a large surface area to facilitate the beneficial bacteria colony. These are two types of aerobic bacteria that breaks ammonia into nitrite and then nitrite into nitrate. Nitrate is much less harmful for the fish or shrimps. If you have live plants in the aquarium it will reduce the nitrate level as well. Though nitrate is less harmful still you need to perform regular water change to keep it under control. These type of filter media are mainly made of synthetic materials like floss, synthetic cotton and foam. Such filters remove visible debris and particles floating in the aquarium water, which originate from animals and plants. Mechanical filtration helps to keep the water crystal clear which is necessary for most of your aquatic creatures. It ensures the visual pleasure of your fish tank as well. Chemical filter media remove harmful chemicals and compounds via absorption. Such filter media utilize activated carbon or resins to treat the water. Filter media with porous activated carbon attract and then absorb pollutants. As you could have noticed, each type of filter media is designed for it’s own purpose. That’s why experts recommend using multiple types of filter media simultaneously to maximize the effect of aquarium filters. At all conditions you should at least have Biological and Mechanical filtration. Chemical filtration is not necessary all the times. If your supply water contains harmful chemicals then you should use it after the water change. Also if you have completed a course of medication in the aquarium, you can use activated carbon to remove the medicines from water. 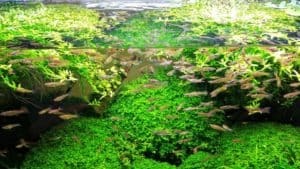 You should not use chemical filtration if you have a planted tank and regular fertilizer dozes are applied in the tank. Activated carbon or chemical filtration will absorb the macro or micro elements of the fertilizer and as a result your plants will be deprived from the necessary nutrition. Modern aquarium filters support a variety of types of filter media, but the full list of acceptable media may vary from one model to another. There are two major types of aquarium filters: external and internal, each with its sub-types. They differ from each other quite significantly, so knowing which is which is highly important. As the name implies, external filters are installed outside the aquarium. Such filters are connected to the aquarium via pipes to pump water in and out. Generally, external filters are the better choice with mid to large-size aquariums. A canister filter is a classical type of external filter. It is set next to or below the fish tank and is connected to it via input and output tubes, which draw water for filtration and pump the filtrated water back into the tank respectively. A water pump manages the movement of water into and out of the fish tank. Canister filters can be easily put away from view. Their mobility also makes them easy to adjust. Besides, canister filters are ideal for more than 26-gallon aquariums. Canister aquarium filters need to be primed before use, but some models come with auto priming devices. Canister filters typically have multiple filter media baskets to allow you to install several types of filter media at the same time. That’s part of the reason why canister filters are the most efficient filters you can get. While selecting a canister filter you should consider the power of it’s pump and how high it can push water back to the aquarium. If the height between your fish tank and filter’s outlet is higher you will get less circulation of water volume per hour. Also after a certain height the filter may not ever work properly. Hang-on-back filters are installed by hanging them onto the back of the aquarium. Like canister filters, they are connected to the aquarium through pipes. An advantage of hang-on-back power filters is affordability. Besides, they are often capable of working with several types of filter media simultaneously. Lastly, they are quite easy to maintain. Power filters are great for medium or small size tanks with less than 55 gallons of capacity. A disadvantage of HOB filters is that the input tube is located below the outflow of the filter. What this means is that the water drawn into the filter may be the water that just exited the outflow tube, resulting in the somewhat inefficient performance of hang-on-back filters. These filters are praised for their superior biological filtration. Wet/dry filter systems are typically installed under the aquarium. Depending on the model, setup of wet/dry filters may take some effort. Wet/dry filters mix air with the water flowing through the filter media, which, as we already know, facilitates the development of beneficial bacteria. Overall, these aquarium filters are considered reliable and easy to maintain. Internal filters are more cost-efficient and quiet compared to external filters. Some internal filters use air lines attached to the filter intake and are powered by air pumps. This allows for the formation of air bubbles moving the water through the filter. Some models of aquariums come with inbuilt internal filters. Corner box filters are set up in the corner of the fish tank, hence their name. They work well with small and medium fish tanks. Corner box filters are inexpensive and need not so much maintenance, only once per month, depending on the buildup of waste. Corner box filters work with a wide range of filter media. The filter needs to be cleaned occasionally. However, you need to make sure not to rinse the filter with any water other than the water from the aquarium itself because water from other sources may contain harmful elements. This could cause the death of beneficial bacteria colony in the filter media. A downside of corner box filters is that they have less air and water flow capacities, making them less efficient than some other types of aquarium filters. Sponge filters are quite efficient in biological filtration. Using air pumps to draw water, sponge filters ensure favorable conditions for the growth of beneficial bacteria on the sponge. In addition, the sponge traps particles quite well. Sponge filters require frequent cleaning, which is done by rinsing the sponge in aquarium water. Sponge filters are affordable and are ideal for aquariums with just a few inhabitants. Under-gravel filters are installed under the aquarium gravel, thus enabling biological filtration by pumping water under the gravel to create beneficial bacteria. Some models of under-gravel filters work with mechanical and chemical filter media. Under-gravel filters need to be frequently taken care of because of frequent dirt blockages. Besides, such filters often lose bacterial colonies. Under-gravel aquarium filters should be used with a gravel vacuum to avoid nitrite and dirt buildup. We actually don’t like under-gravel filters as they cause more problem than benefit. Also their efficiency is quite questionable. The choice of one or the other type of aquarium filter depends on a number of factors, which we are now going to look into. The size of the aquarium is denoted by the volume of the water it can hold. This specification dictates which type of filter you should get. As you already know, external filters work better with large tanks while internal filters are ideal for medium and small aquariums. Larger tanks can hold more than one filter or a combination of the two types. You should get a filter that manages at least the volume of your aquarium to make sure that you have room for the future. The rule of thumb is your filter should have at least 6 times of water circulation capacity of your tank’s water volume. If you do not like cleaning things frequently, you should go for external filters that require maintenance only once every two-three months. Otherwise, if you don’t mind often treating the aquarium filter, an internal unit should be good for you. Your budget is another factor dictating which type of filter you can and should go for. External aquarium filters offer better performance in a wide range of tank sizes, but they are pricier. On the other hand, inexpensive internal aquarium filters work better with smaller fish tanks. You should also account for the type and number of animals and plants you intend to have inside the aquarium. The bigger the number of pets, the more waste they produce and the more efficient aquarium filter you need. In this case, you would need something like a canister filter. Otherwise, you could do well with a simple internal filter. If you have an aquarium at your home or workplace, equipping it with a filter is obligatory. 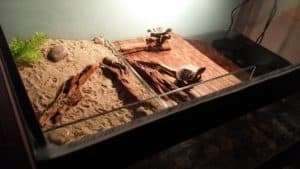 Sure, you could live without one, but you will quickly discover that the aquarium’s inhabitants are getting sick and the fish tank’s appearance is starting to deteriorate. In the enclosed aquarium, the ecosystem doesn’t have the means to balance itself, so you need to give it a hand. With a good filtration system, you will be able to simply forget about those problems. Given that you perform regular maintenance on the aquarium filter, you will get a crystal-clear water all day long without too much intervention. If your aquarium water is always clear, you won’t have to spend additional time to try and resolve some complications that may arise should you neglect the importance of taking care of your fish tank. It is suggested not to go more than double the quantity of fish u have in a week. In a newly cycled tank with no fish, if u want to keep 20 fishes, then its ideal to start with 5 in 1st week, then another 5 in 2nd week and finally the last 10 in 3rd week. 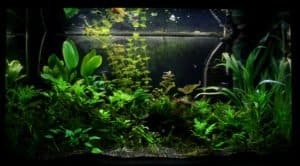 Established tank is a tank that has been running for at least 90 days. In that case, since it is established, we don’t usually add huge number of fishes in there anyways. It all depends on your bioload. In a 50 gallon tank, if u had only 5 fish, then it is not wise to add another 15 fish in there right away. In that case, u should never go more than double the quantity of the fish u already have in there. So in a 50 gallon, only 5 fishes in there, if u want to add another 15, then u should first add 5 more, wait one week then add the rest 10. Whenever adding new fish, u can also do an extra water change to ensure the best possible water parameters for your fishes. Too much filtration will lead towards too much flow rate which gonna blow your fishes. Also if the flow rate is much higher the bacteria will simply not get enough time to come in contact with the ammonia in the water. Which will lead to inefficient filtration. Obviously on the other hand less circulation or less filtration will not serve the purpose of having a fish tank filter at all. So should you spend money on aquarium filters? While the final decision is up to you, we think that the answer to this question is definitely yes! Treating the aquarium water isn’t only about the health of the fish tank’s ecosystem, it also helps with its looks. Do you want to have an ugly fish tank in your office or home? Liked one of the models we reviewed? 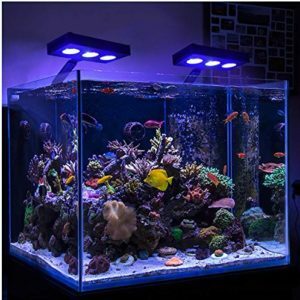 If it corresponds to your demands, why not get it and make the life of yours and the inhabitants of your aquarium a little bit easier? Make sure that the model you like is what you need, and you will surely be able to buy the best aquarium filter you can!